Verdigris helmet=Nedic? Additional idea: Maybe in the TES Universe verdigris is nothing like irl and used as a decorative element? 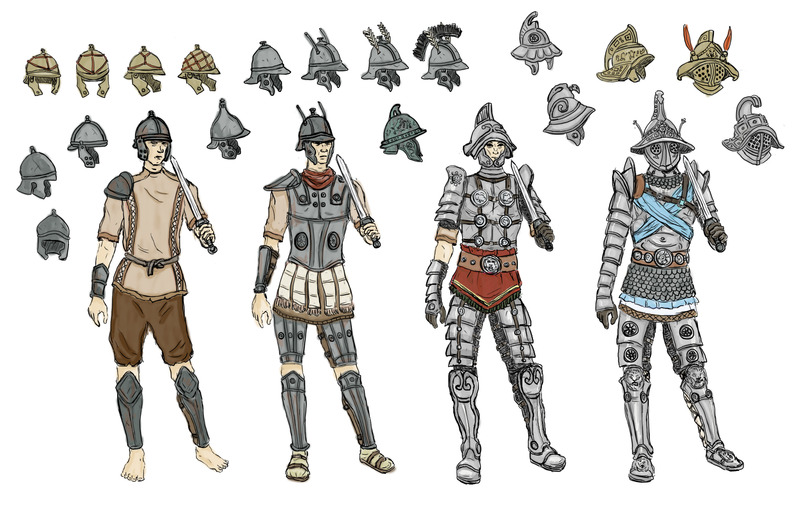 These armors are generally worn by mercenaries, bodyguards, Fighters Guild members, arena fighters, bandits etc. Concerning potential differences between Colovian-Bronze vs. Nibenese-Bronze. Maybe one is of generally higher production value and offers a bit more protection, while the other provides generally a bit more lightweight sets. I also Imagine Colovian-Bronze to be more yellowish, while Nibenese-Bronze is more redish in apperance. 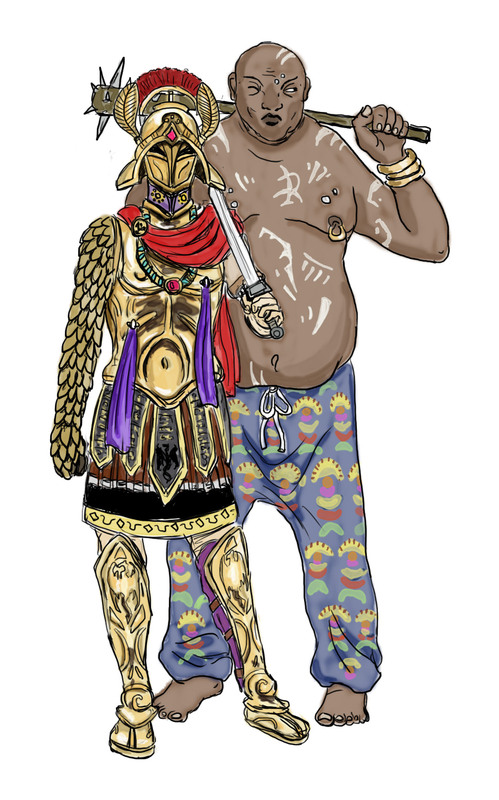 Gold-Armor of a Colovian Prince with his bodyguard from Rihad. Much like the Ordinators from Morrowind, I imagine Colovian princes having some parts that are always needed for the uniform to be complete. Like I imagine that they have daragonscale sleeves on their swordarm, which is also a nice reference to rl-gladiator sleeves. Would of course be two pieces actually but should be modelled in a way that they appear as one piece and also alway applied like one piece.